We are a brand new rescue located in Rustburg Virginia and we take in guinea pigs who are in immediate need of homes and care for them until a suitable new home is found. Willing to travel to different parts of virginia as well as north carolina and west virginia. We are starting out small but plan to grow in the future. We are a husband and wife team who have 4 piggies of our own. We are passionate about proper care for guinea pigs and offer education to anyone interested. 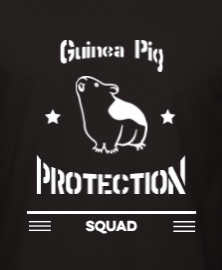 If you would like to adopt a guinea pig from us we will ask that you sign an adoption contract, and that you provide proof of proper cage size. If you need assistance with a cage we will certainly help you for a small adoption fee to ensure our piggies have optimal environments.